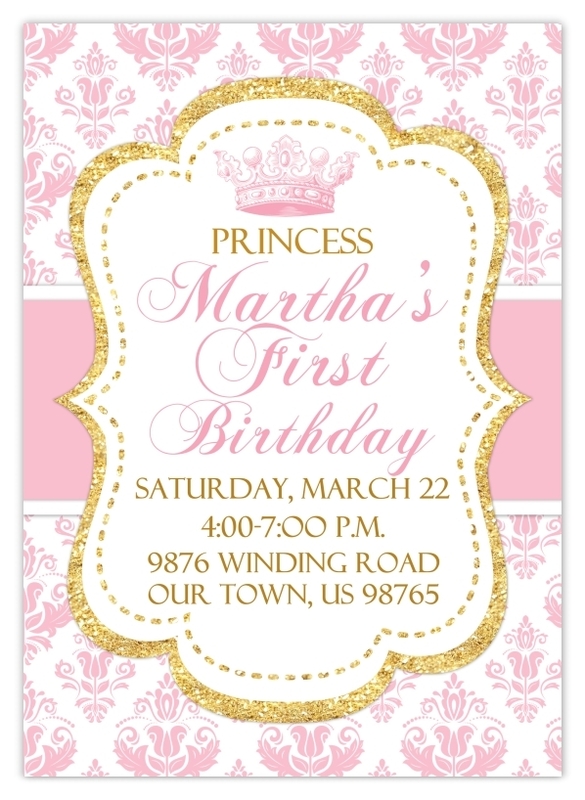 We love the femininity and glam of these pink and gold princess birthday invitations. However, we gladly recreate them in YOUR party colors at no additional charge. Text given is an example for a 1st birthday; you can surely make them for a child's or adult's birthday too! The text for your invite is totally up to you! 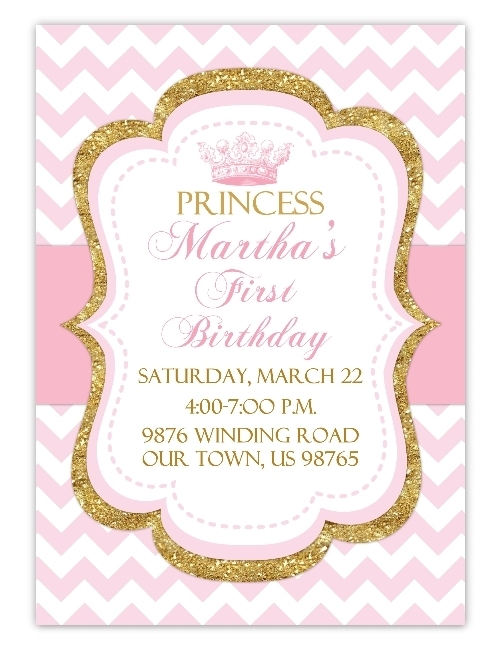 Please note that these are "glitter look" invitations; the invitation itself contains no glitter.